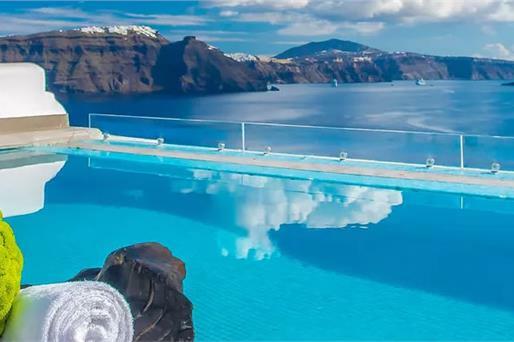 Located 2 km from Fira, the award-winning Grace Hotel Santorini is an exclusive boutique hotel offering luxurious accommodation with panoramic sea views and free WiFi. 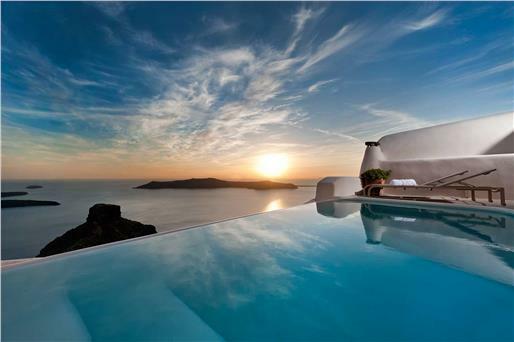 It features an infinity pool and provides in-room spa treatments. The modernly decorated rooms and suites feature design items and include a satellite TV, DVD player and a balcony. 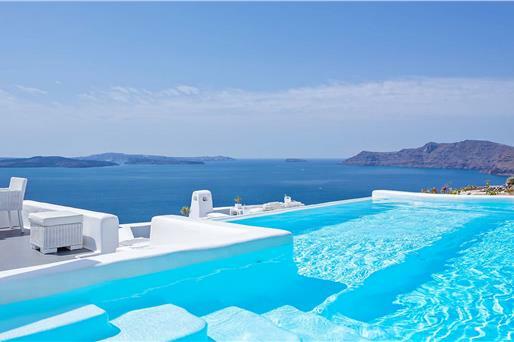 Some units also have a separate seating room and a plunge pool overlooking the sea. Grace Hotel guests can benefit from a variety of services that they can request prior to arrival, such as bathroom amenities, Apivita cosmetics, in-room fitness kit or seven-choice pillow menu. They can also choose among a wide variety of in-room drinks or special romance packages. 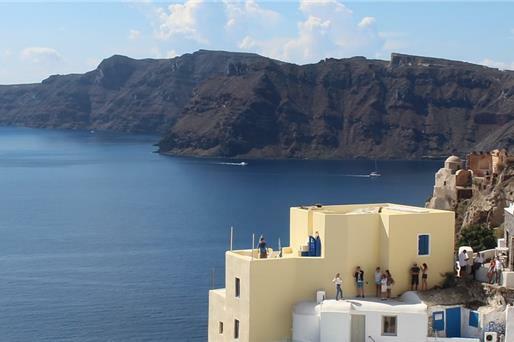 The sea-view restaurant serves Mediterranean fusion cuisine in its elegant interior or at the terrace. A 5-course champagne breakfast is served daily, while guests can also enjoy cocktails, refreshments and light meals at the hotel's pool bar. 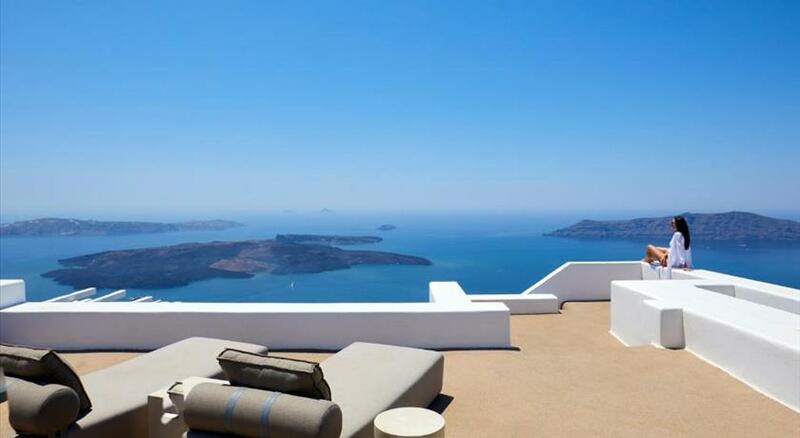 Grace Hotel Santorini can arrange boat trips to nearby islands and private daily cruises. A complimentary use of laptop and iPod is possible at the reception. 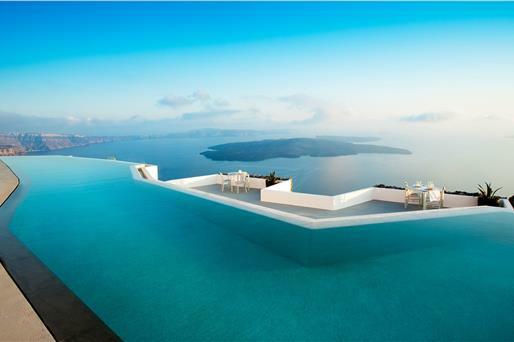 Situated in Imerovigli village , the hotel is 8 km away from Santorini Airport and 10 km away from Athinios Port. Taken from a drone fly over that shows the hotel from above. 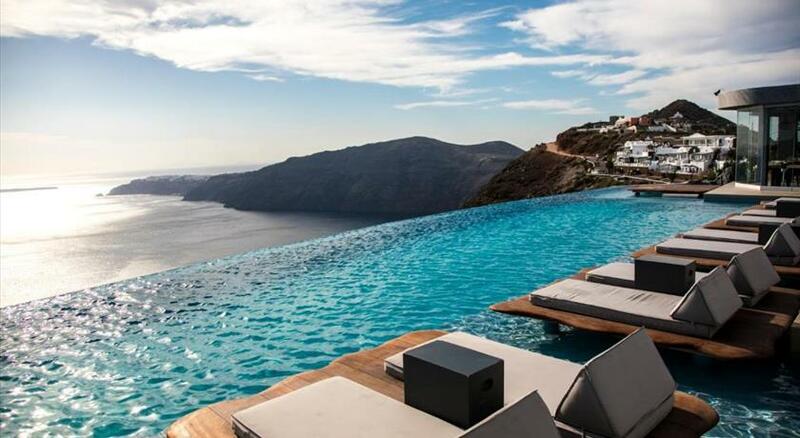 Grace Santorini is located in Imerovigli's caldera. Children older than 14 years are welcome. Children's cots/cribs are not available. There is no capacity for extra beds in the room. 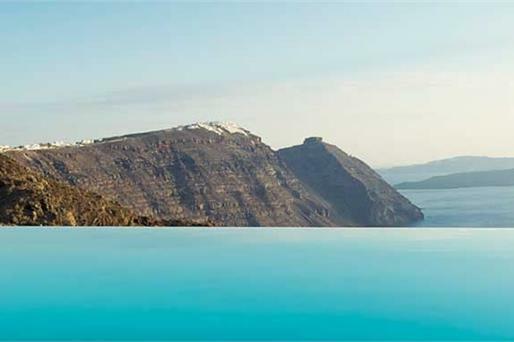 To benefit from the added, in-room services, guests are kindly asked to contact Grace Santorini prior to arrival and request the Bespoke form for selecting the services of their choice. Because of its location and for safety reasons, the hotel cannot accept children under 14 years old.